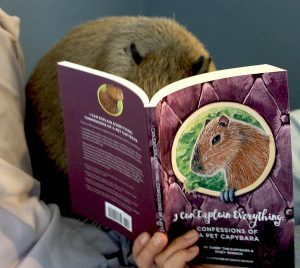 I’ll tell you one thing I can explain, that is that the photo above is so crummy because capybaras are very, very, very difficult to get to hold still for a photo with a book. 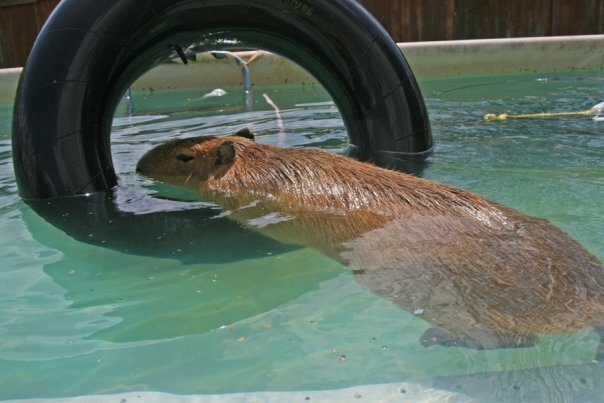 Well, that’s not exactly true, Caplin Rous would do anything, but Skipper, well, she’s a different story. But on to the book! 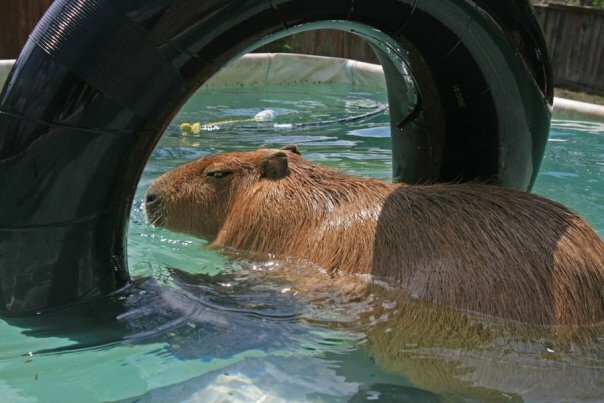 I never knew capybaras could express themselves so well –again, Skipper probably can’t — but Dobby lays out the world as he sees it in a concise, logical, more-or-less chronological, and easy to read way. 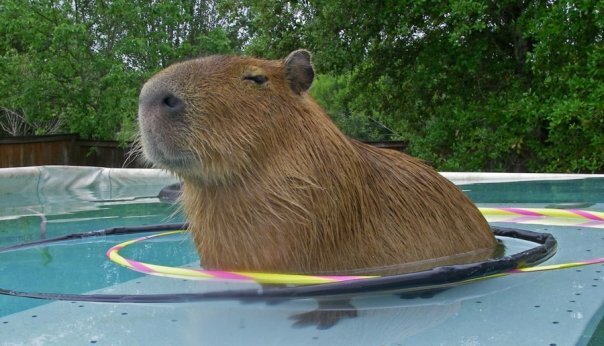 You might say that he is the Shakespeare of capybaras. Only he writes in prose. Dobby’s book, written with ghost writer Stacy Winnick, covers everything you’d like to know about the life of a pet capybara. And more. I mean, how much do you really want to know about his poop? 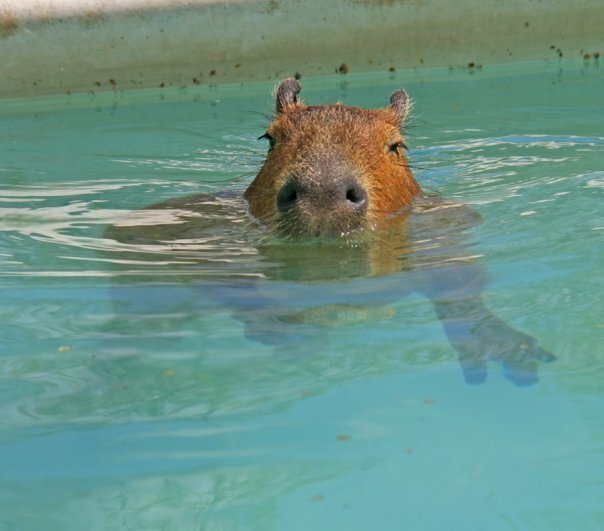 Probably a lot if you are interested in capybaras. 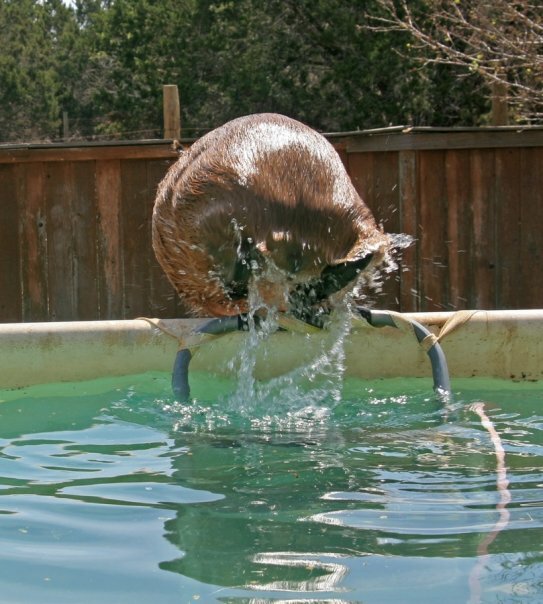 Dobby’s take on poop is entertaining and personal. I’m glad Skipper has different toilet habits. Poop isn’t the only thing Dobby covers, he’s got a million insights to share with you. 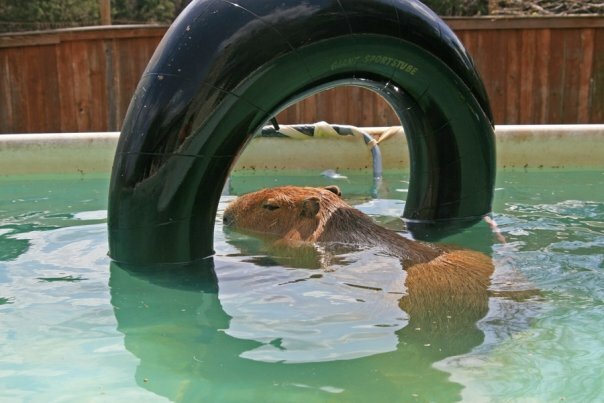 There’s vet visits, co-pets, capybara care, food and feeding, pools, and a lot more. 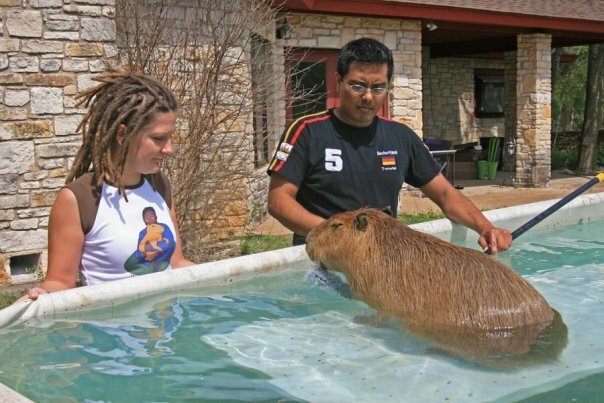 If you’re interested in pet capybaras, here’s the book for you. 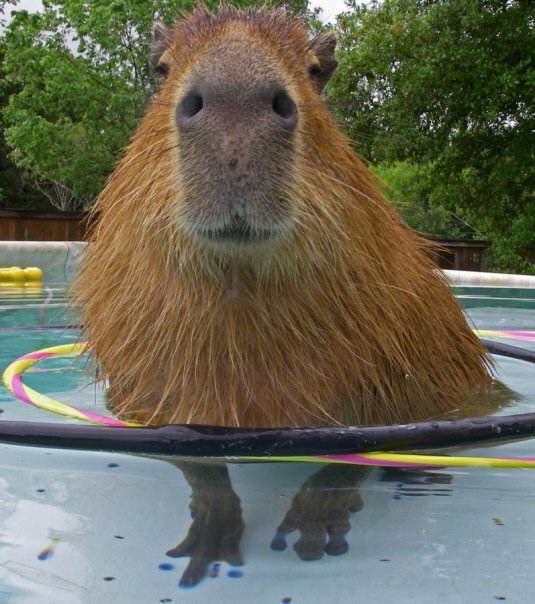 And if you want to learn more about Dooby before you commit, you can read his blog, Pet Capybara. Remember to leave a review on Amazon. Melanie, please tell Muddy that we are looking forward to reading her book, too! Dobby is such a talker! He has so much to share!